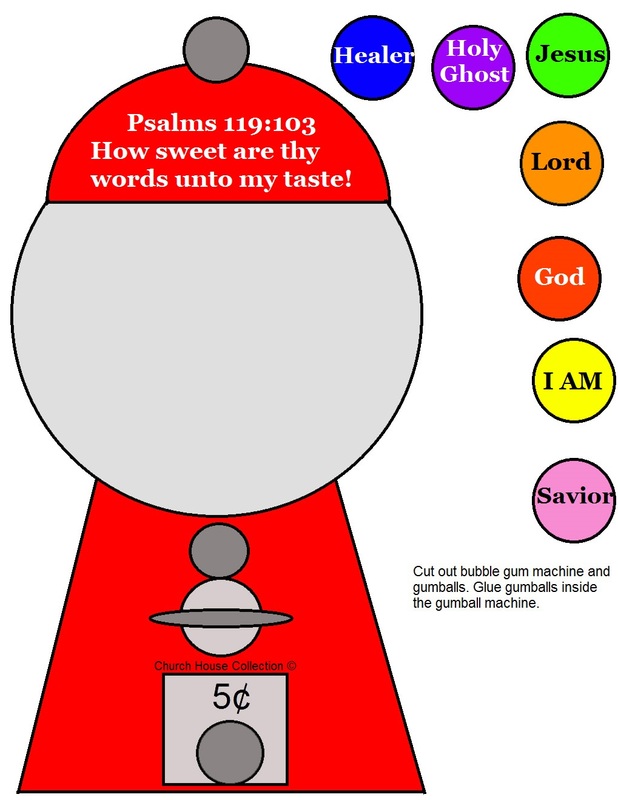 This is a craft for a bubblegum machine with the scripture from Psalms 119:103 on it. 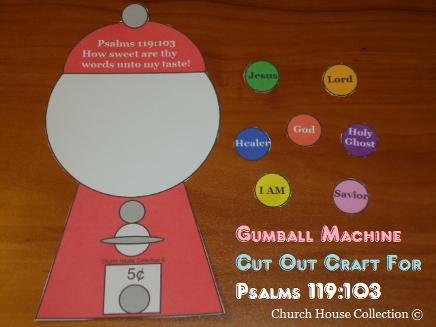 We have 4 different printable templates below. We have black and white and colored, and also with and without words on it. 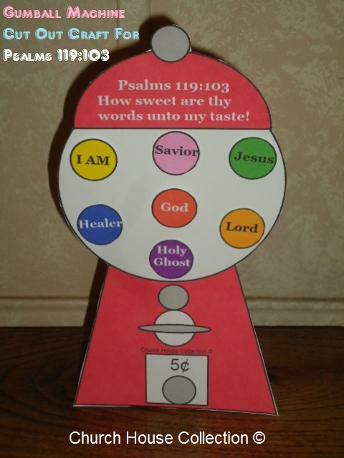 Pick which one you need and print it off. If you printed the black and white one then have the child color the picture. 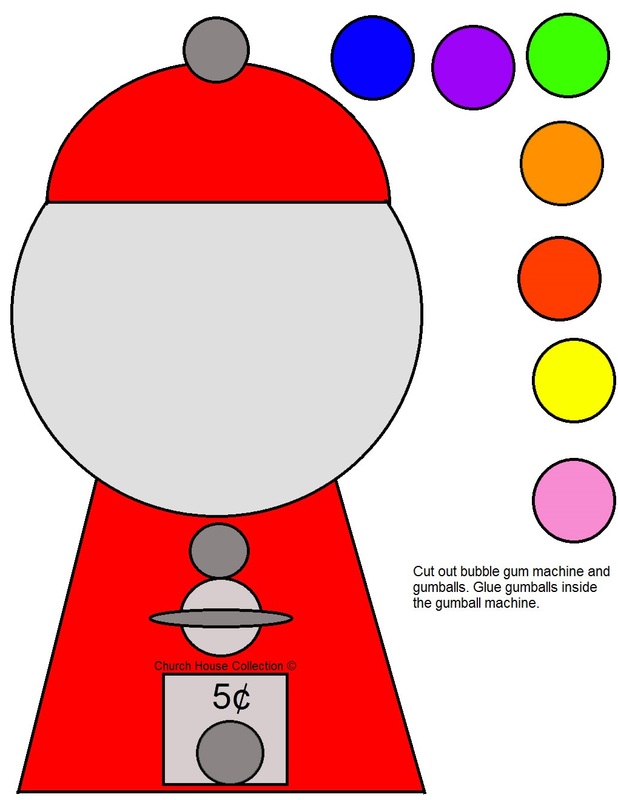 Then have them cut the bubblegum machine out and the gumballs. 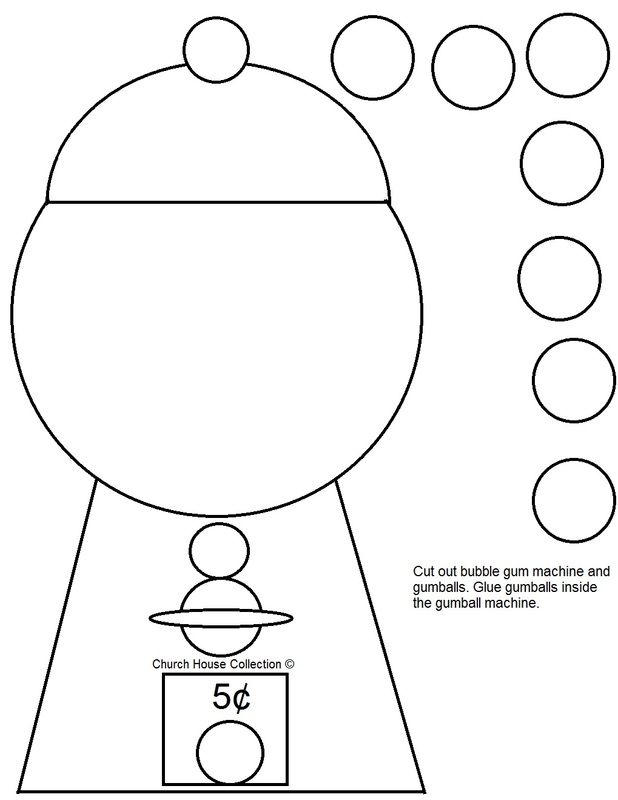 Have them tape or glue the gumballs onto the bubblegum machine. To make it stand up just tape a clothespin to the back and then stand it up. You might need to help the child do this.